“The Social Theory of Hoppe“. The audio and slides for the first three courses listed can be found in those links; those for the Hoppe course are appended below. 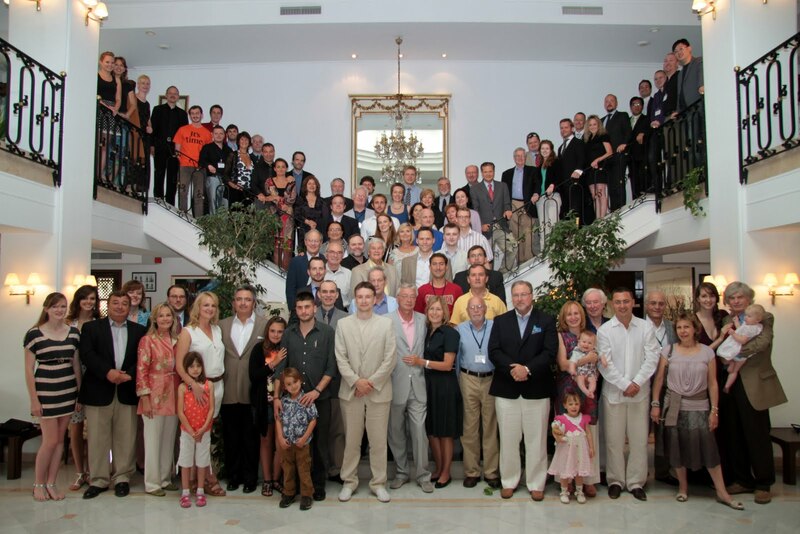 The Hoppe course is discussed in my article “Read Hoppe, Then Nothing Is the Same,” translated into Spanish as “Tras leer a Hoppe, nada es lo mismo“; see also Danny Sanchez’s post Online Hoppe Course Starts Tomorrow. I enjoyed all four courses but my favorite was the Hoppe course. Hoppe has been the biggest intellectual influence of my life, as I detail in “How I Became A Libertarian” (published as “Being a Libertarian” in I Chose Liberty: Autobiographies of Contemporary Libertarians). I agree with Sanchez that “Hans-Hermann Hoppe is the most profound social theorist writing today.” This is one reason I worked with the brilliant Austro-libertarian theorist, and one of my best friends, Jörg Guido Hülsmann, and one of the greatest guys in the world, to produce the well-received and well-deserved festschrift, Property, Freedom, and Society: Essays in Honor of Hans-Hermann Hoppe (Mises Institute, 2009). Move over Chuck Norris, Hans-Hermann Hoppe is in town! The introduction to “The Social Theory of Hoppe” was extremely thorough. I, a relative newcomer to the Hoppean idea, was impressed by Stephan Kinsella’s introduction to the theory. 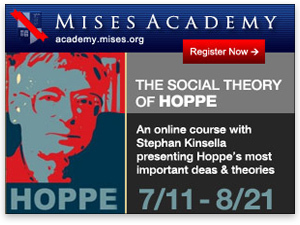 Mr. Kinsella hit upon all of those who came before Hoppe, and how each built upon another over the past two centuries. In other words, as Isaac Newton stated, “If I have seen further it is only by standing on the shoulders of giants.” Hoppe is the result thus far of those who came before him in the ideals of Austrian Economics and libertarian principles. 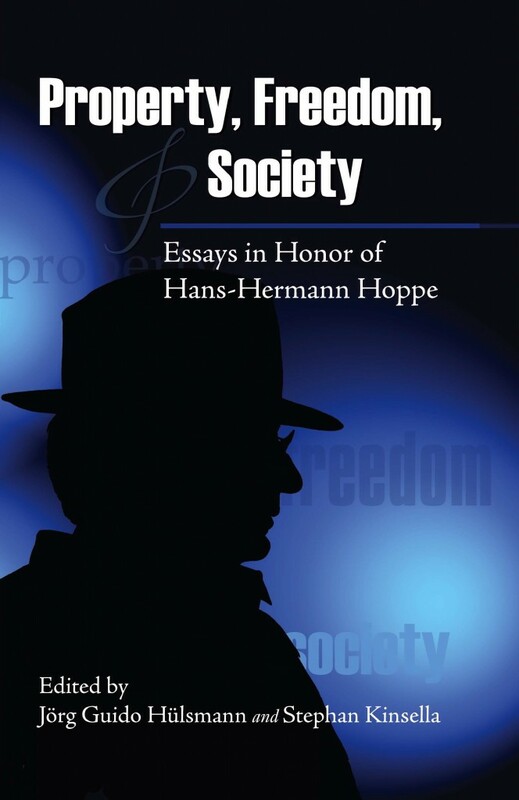 Nevertheless, Hoppe takes it much further as in the Misesian concept of human action and the science of “praxeology”, from which all actions branch in life. Overall, the class was extremely enjoyable, the questions concrete, and the answer provided by Mr. Kinsella clear and precise. Like many others in the class, I look forward to more. So tune in next Monday at 7pm EDT. Same Hoppe-time, same Hoppe-channel! There were also rave reviews given by students of the other courses.